Casino Classic is one of the established online casinos of today. It was first introduced in 1999 and has games that Microgaming provides. Casino Rewards is the company responsible for running and managing Casino Classic, which is under the jurisdictions of the United Kingdom and Kahnawake. It has many advantages over other online casinos out there, including being welcoming to players from several parts of the world. 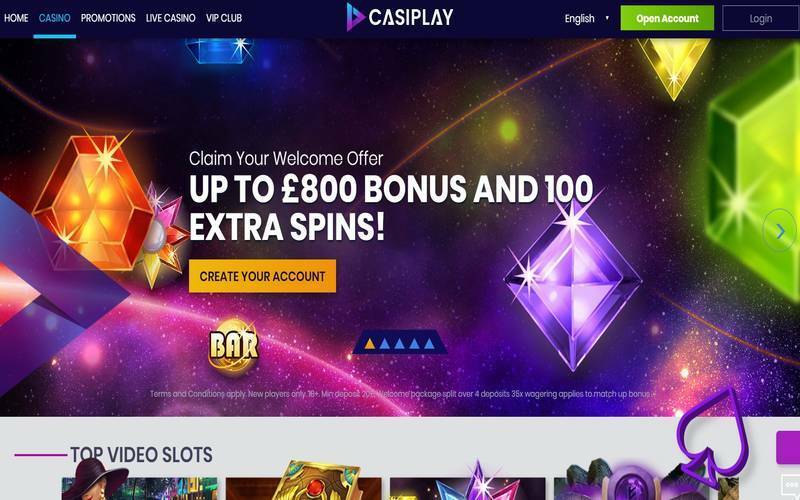 Just like numerous online casinos that you may have encountered, Casino Classic offers attractive bonuses to newly registered users with a chance to win up to £100. To qualify for the bonus, you will need to deposit at least £10 into your account. Also, you should meet the wager requirements in which you need 60x the betting amount on Keno, slots, and parlour games. If you will play Casino War and Table Poker, you need to meet the 120x requirement for the mentioned games when you wager. Other games that you can play and bet on are Blackjack, Craps, Baccarat, Roulette, and Video Poker. All the terms and conditions apply here, which is why it is essential that you read them properly. This online casino started operating in February of 1999, which makes it one of the oldest brands around. It has an old-school feel to it but the design of the website will thrill your imagination as if you were in a real casino. The ambience is reflected successfully when you enter the site, as well as with the gaming interface. Microgaming is the sole supplier of games on this website, which is quite a relief to those who are familiar with this developer. In the main page of the casino, you will immediately see the nicknames of the players who are currently on the website. If you want, you can interact with these players, which is one of the unique traits of Casino Classic. It is rare to find online casinos allowing such communication with their members. Additionally, you can choose who to play with at most of the games on the site. There are no avatars for the players though but its absence is not much of a disadvantage. When it comes to the variety of games, Microgaming is known for its numerous collections. On this website, you can play different slots games on both your smartphone and desktop. If you opt to play online using your computer, you can select from over 650 choices. Meanwhile, if you want to stay on your mobile device, you have almost 200 options available. Another thing that sets this online casino apart from the others is its First Hour Free Play. With this promotion, you can access the website fully and play any game you want for one whole hour. Of course, you will need credits for such activity but you do not have to worry about them because the casino will provide them for you. Therefore, you get a risk-free trial while you enjoy some of Microgaming’s games. Also, once you have registered with this online casino, you will be automatically subscribed to the rewards program. You will need to rack up points to get cash and free games. 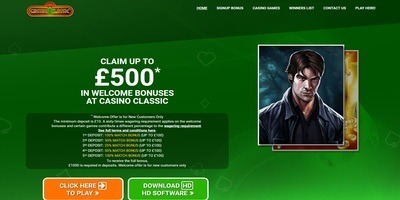 The points are easy to obtain if you keep playing different games at Casino Classic regularly. * Welcome Offer is for New Customers Only The minimum deposit is £10. A thirty times wagering requirement applies on the first and all subsequent welcome bonuses and certain games contribute a different percentage to the wagering requirement. See full terms and conditions.